If your printer is more than two years old, you may be experiencing clogs. We don’t mean paper jams — we’re talking clogs in the nozzle dropouts within the printer itself. This is a common problem with inkjet printers, because printheads often aren’t cleaned on a regular basis. 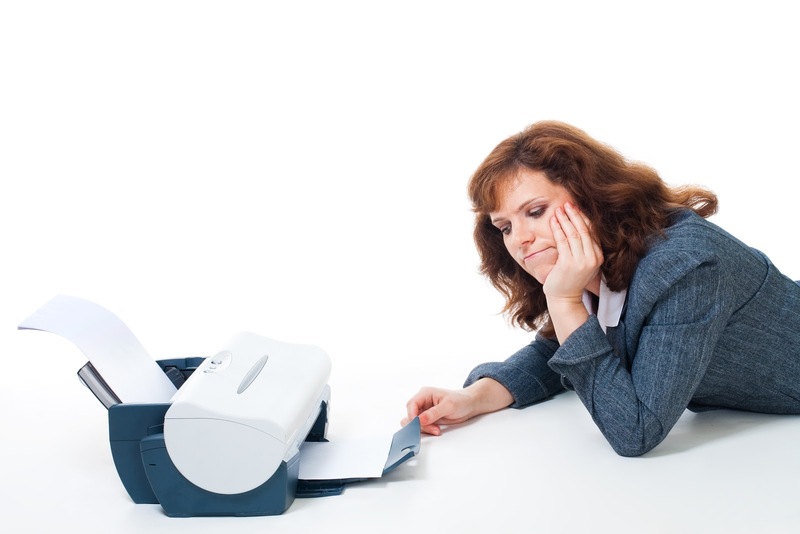 You may not have ever cleaned your printer because the manual didn’t ever suggest it in the troubleshooting section. But just like any other device, it is critical to clean and maintain inkjet printers to keep it working right. When the printer remains unused for a while, the ink on an internal part of the printer called the capping station pad dries up causing the nozzle to dry as well. The chemicals in the printer ink cartridges contain resin which gets converted into plastic when dry. This solidified ink does not dissolve nor can it be broken up, leading to clogging of nozzle and poor performance of your laser toner cartridges. This is why it is so important to clean the capping station! Inside the printer, the damper has a filter to trap particles that can potentially clog the nozzle. Buildup occurs over a period of time, preventing the flow of ink to the nozzle. Solvents such as alcohol can help in dissolving the particle build up and restoring ink flow to the nozzle of your ink cartridges. Some printers have a built-in cleaning feature that can help fix clogs. After running it, you can print two or more test pages using black and other colors before running another cycle. If your printer ink cartridges haven’t been idle for a long time, just printing the test pages can set the problem right. 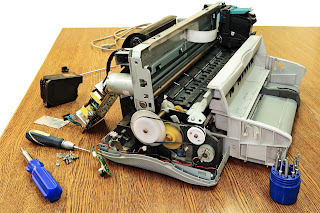 If your printer can’t clean itself automatically, you can remove the printer ink cartridges and the print head from their frame and soak them in hot water. We recommend leaving them in water overnight so that all the impurities are removed completely from the ink cartridges. They must be then dried thoroughly before installation. This process works successfully for many printers. No one likes having a clogged printer. But it helps to know exactly which parts to target when fixing a clog. There are definite ways to prevent clogging. Just like any other machine, a printer requires maintenance to function properly and to have longevity. Once you learn how to use them properly, your home and/or businesses will benefit greatly! 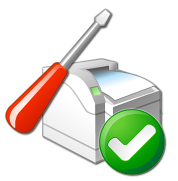 Have you ever experienced a printer clog? How did you deal with it? Let us know in the comments! Learn about CompandSave's deals and news from the world of printing by following us on Facebook, Twitter, LinkedIn and Google+. The model is visually quite nice in its textured and high-gloss black case. It is around the normal width for any personal inkjet machine, yet is definitely less deep compared to many. Nonetheless, when you flip down the paper tray and extend the swing-out paper rest, which creates the output tray, it expands the machine's footprint significantly. This tray set up sticks out on the front of the machine by more than the length of an A4 sheet. I don't know what to say. This is definitely one of the better blogs Ive read. You re so insightful, have so much real stuff to bring to the table. I hope that more people read this and get what I got from it: chills. Great job and great blog. I cant wait to read more.